More on the Touchstone Mirror Onyx 50 inch Electric Wall Mounted Fireplace with Mirror Glass (Black) 80008 below. Touchstone's Mirror Onyx is a unique twist on the top-selling black glass Onyx fireplace. While the standard Onyx features a black framed glass front panel, the Mirror Onyx features mirrored glass on its front panel. The mirrored glass allows you to display your electric fireplaces realistic flames only when the unit is powered on. When the unit is off, the mirror conceals the logs within and its front is a complete mirror surface. Touchstone's Mirror Onyx is a 50" wide electric fireplace with the same deceivingly lifelike flame as the original Onyx. Its mirror surface makes it the perfect piece for foyers, bedrooms & dressing areas, bathrooms, or any other space that needs the depth a large mirror deliverers. While the Mirror Onyx can be used without the heat on, it does offer 2 levels of heating (1500W & 750W) to heat any space up to 400 square feet. 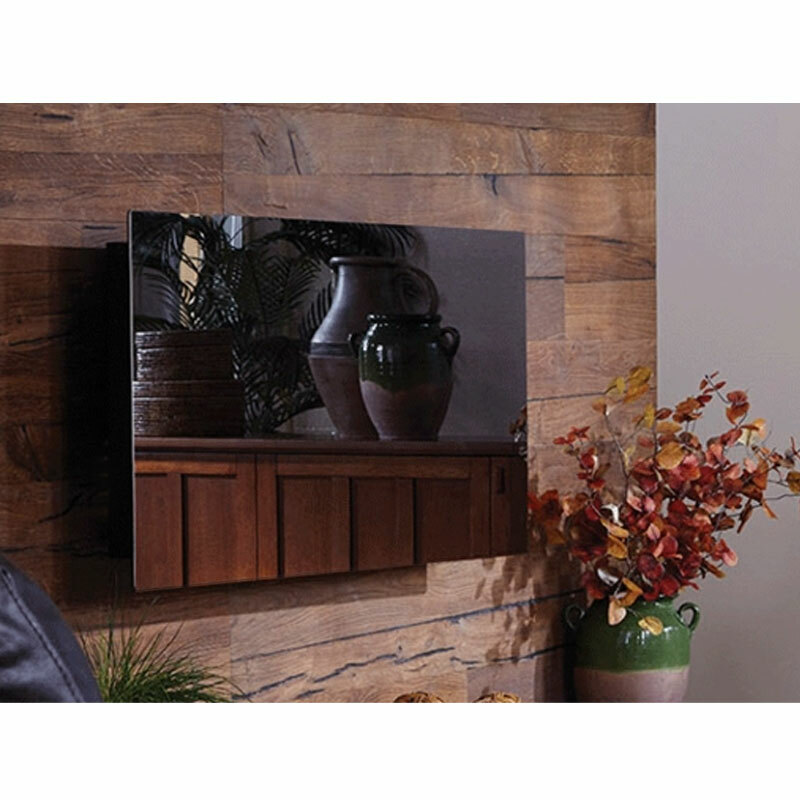 Additionally, Touchstones Mirror Onyx Electric Fireplace requires a simple installation with easy step by step instructions. 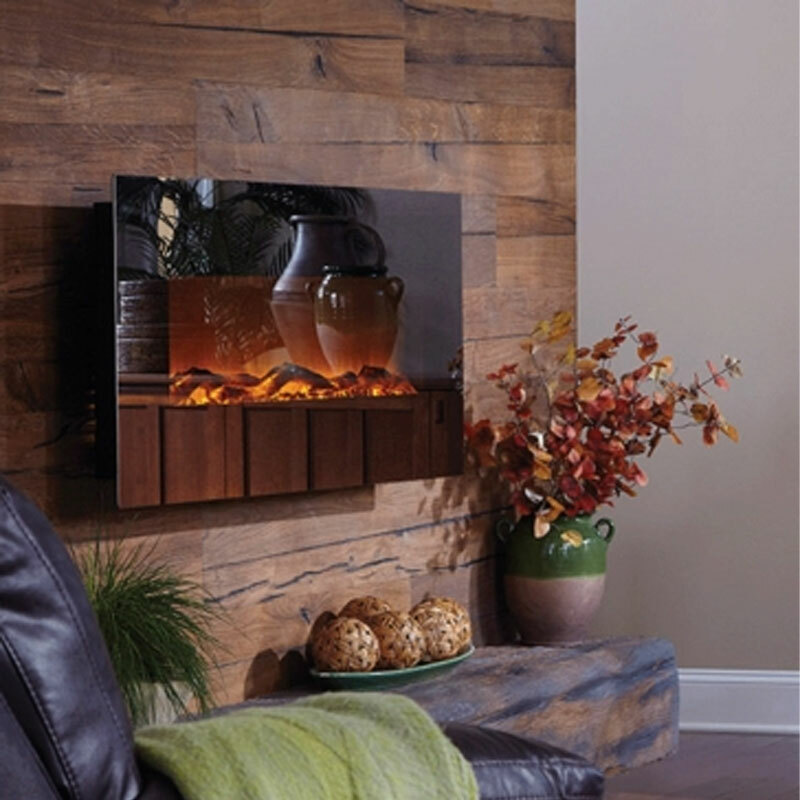 The realistic quality of Touchstone fireplace flames can't be understated. At trade shows and retail locations, customers always ask if the flame is hot to the touch or if its a gas log, and most of their reviews focus on the realistic fire. To view the impressively realistic flames of this unit check out the video link on this page. The flames can be run separately from the heating features, allowing you to enjoy the flames of your electric fireplace year round. The Mirror Onyx has 5 flame settings, which let you pick the right flame for mood your looking for, ranging from a subtle ember to a full flame. Yes, it does heat your room. Like all Touchtone fireplaces, the Mission Onyx has two heat settings at 1500W and 750W, and can heat a room up to 400 square feet. The heater can act as a primary heat source in a remote location of your home, or in your office over a garage or basement. It also perfect for "taking the edge off", when used with your home's primary heating system. 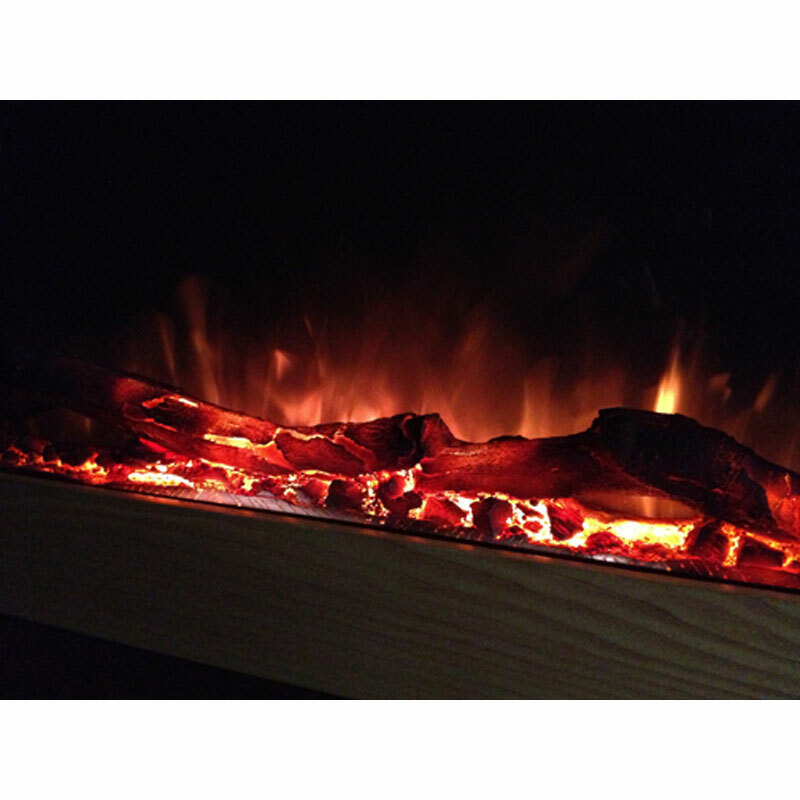 The heater can be controlled from the side of the fireplace or from the included remote. The Mirror Onyx also gives you the option of using the built in timer to control the heat settings so that you have the ability to time the fireplaces heat duration for up to 7.5 hours. When customers ask for a feature, Touchstone delivers. All of Touchstone's 50" fireplaces feature their exclusive heat disable switch, which lets you recess the fireplace into a wall. With the heating element in the firebox of the unit, it would be a fire hazard to mount this unit in the wall, but when using the heat disable switch this can be done without any concerns. Touchstone found so many clients asking and discussing using their 50" wall mounted fireplaces in this manner, they've made it a built in feature. Mounting your Mirror Onyx fireplace to your wall is simple and it usually only takes one person to get the job done. Installation instructions are included with the unit and are clear and easy to understand. The easily mountable bracket is included and once it has been mounted to your wall, all you need to do is hang and secure your fireplace with the included screws. As recommended by Touchstone, the optimal placement of your fireplace is high enough on your wall to conceal the mounting hardware but at least 24 inches below your ceiling. Most customers opt to mount their Onyx on the wall below their wall-mounted flatscreen television, however, we recommend you mount your electric fireplace at least 24 inches below the bottom of your TV. *** All sales on this item are final. No cancellations or returns are permitted. *** Visible Damage must be reported immediately. Concealed damage must be reported within 48 hours or carrier will not be held responsible and we cannot reship or refund.